Instant puddings were first introduced to the public in the 1940s and quickly gained acceptance. They're fast, easy and require only two ingredients -- a box of pudding mix and some milk. Whisk the two together and you have a sweet dessert in less than 10 minutes. The cornstarch in the pudding causes it to thicken naturally, but you can increase this function by substituting heavy cream for milk. You can make instant pudding with heavy cream, rather than milk, if you're looking for an extra thick consistency. Although instant puddings thicken quickly when allowed to set for a few minutes, adding cream creates an even thicker texture, which is ideal for pie fillings. In addition to a thicker consistency, you'll also notice a richer flavor. 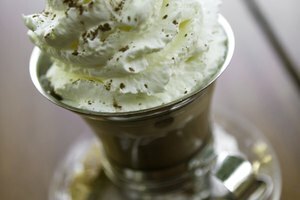 If you use just heavy cream, the texture might even be too thick. Add a little milk, if necessary to thin the pudding. Most regular boxes of pudding call for 2 cups of milk. Substitute a portion of the cream for milk, or even add up to an additional 1/2 cup of milk if the pudding is too thick. Add a little milk at a time and mix it in until you get the consistency you want. From a nutritional standpoint, it's better to stick with milk when making pudding. Thick and sinfully rich, heavy whipping cream packs an astounding 414 calories per cup, as well as 44 grams of fat -- 28 of which are saturated fats. 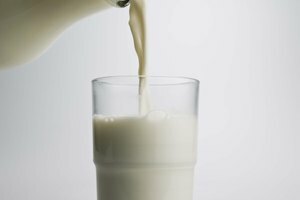 Low-fat -- 1 percent -- milk, on the other hand, has only 102 calories per cup and 2 grams of fat. Milk also contains more nutrients -- 8 grams of protein, as opposed to the 2 grams you'll find in heavy whipping cream, and 29 percent of your recommended daily allowance of calcium. 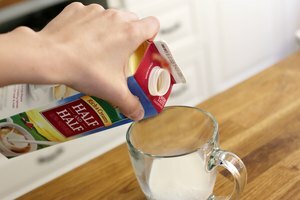 Heavy whipping cream provides only 8 percent. 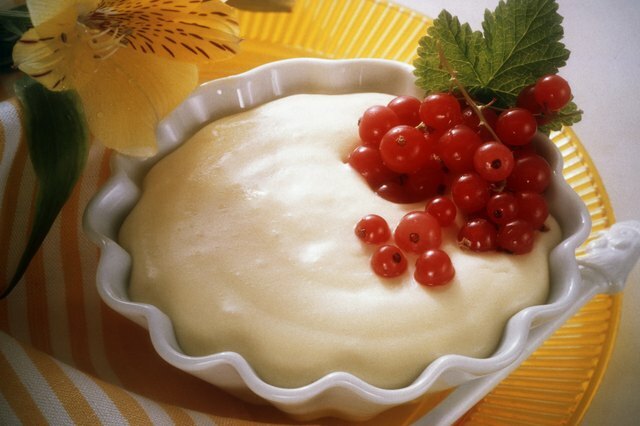 Most recipes for homemade cooked pudding call for the addition of a little heavy cream to improve the flavor and texture. 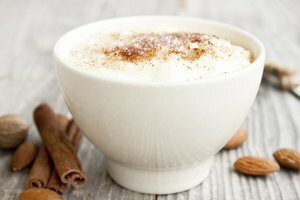 There's no reason you can't do the same to an instant pudding mix because the ingredients are essentially the same -- sugar, flavorings and thickeners. 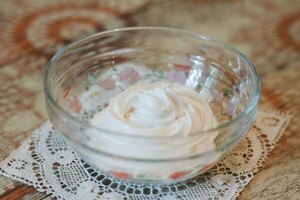 Substitute an equal amount of whipping cream for the milk, or for a healthier version, substitute 1/4 to 1/2 cup of whipping cream instead. 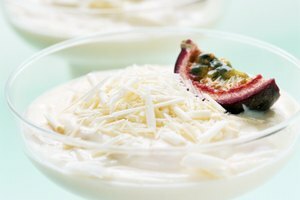 You'll still get a thick, creamy pudding with fewer calories and fat. Whisk the pudding for several minutes, until all lumps are gone and the pudding thickens. Whether you thicken instant pudding with milk, heavy cream or a combination of both, you can use instant pudding in a variety of ways. Try it as a quick snack for kids or use it as a filling for cream pies. Mix it with pound cake, fruit and whipped cream for a fast and easy trifle. While pudding isn't a health food, it has more nutrition than most desserts because of the calcium and vitamin A dairy products provide.